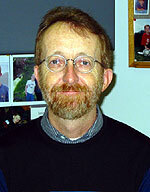 James F. Collawn, Professor of Cell Biology, received his B.S. degree from the University of South Carolina and his Ph.D. degree in Biochemistry from the Medical University of South Carolina (1986). He completed his postdoctoral training in cellular immunology at The Scripps Research Institute and in cell biology at The Salk Institute in La Jolla, California. After working for two years as a Staff Scientist at The Salk Institute, Dr. Collawn joined the Department of Cell Biology in 1993. Dr. Collawn was an Established Investigator of the American Heart Association and Director of the Cell Biology Graduate Program from 2000 to 2017. He was an Associate Editor for the American Journal of Physiology-Lung Cellular and Molecular Physiology from 2011 to 2018 and is Vice-chairman of the Department of Cell, Developmental and Integrative Biology. Our laboratory studies receptor-mediated endocytosis (RME) and protein trafficking. Our studies examine the polarized trafficking of two integral membrane proteins in epithelial cells, the transferrin receptor (TR) and the cystic fibrosis transmembrane conductance regulator (CFTR). TR is expressed in nearly all mammalian cells and its itinerary is well characterized by us and others. CFTR is a cAMP activated chloride channel and its transit through the secretory and endocytic pathways is just beginning to be understood. Cystic fibrosis (CF), the most common genetic disorder in the Caucasian population, results from defective processing or function of the CFTR protein. Therapeutic approaches have focused on increasing the amount or improving the function of defective CFTR at the apical membrane. However, until the exact physiological functions and trafficking pathways of wild-type CFTR have been characterized, such treatments remain only empirical. Using biochemical and physiological approaches, we are studying the cellular mechanisms that regulate wild-type CFTR biogenesis, endocytosis, recycling and function. We are also comparing the above features of the wild type protein to naturally-occurring CFTR mutants in order to understand the metabolic and functional defects in these proteins that result in a certain disease phenotype.